The company that host my website and all my images at full resolution: www.photoshelter.com has updated its famous booklet the SEO Cookbook for photographers, now 2010 version. As the previous release it is free! no catch, payment, trick or need to create an account, simply a write your email and click submit, you will receive it at your email within th next minutes. 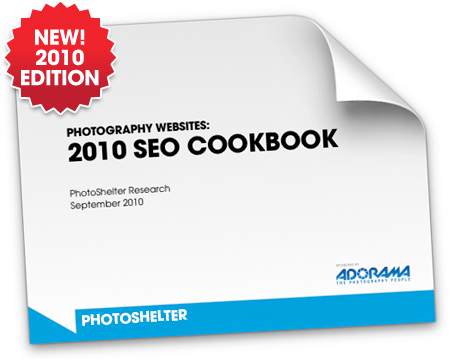 It contains a lot of very useful information for photographers who want to understand how Google and other search engines work and the most important how you can improve your ranking in google search to be found and drive more traffic to your website. Don't forget to take a tour for their services or check my review and if you like them you can use this photoshelter discount link or share it: CA2LX24B. I am sure you won't regret.